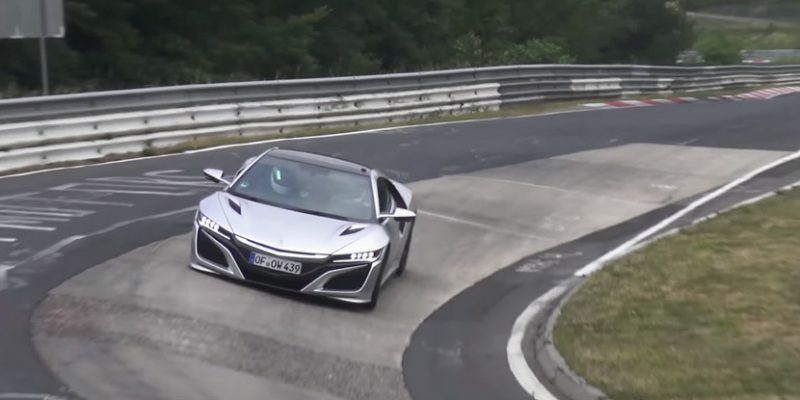 A recently uploaded video shows two Acura-badged NSXs running the Nurburgring in Germany. Seeing the new NSX on the ring wouldn’t be unusual under normal circumstances, but in this particular instance, there might just be something more going on. While the two cars look like regular NSXs on the outside, a few sites have pointed out that both have extra sensors attached – on the top corner of the rear window on the black car, and on the roof above the driver on the silver car. Could one of these cars be a test mule for a new NSX variant? Maybe an NSX Type R?